Park’s City Old Town is home to public parking structures, multiple surface lots, and street parking. All told there are more than 1300 public parking spaces. How does parking work on-the street and in the China Bridge parking structure? On the street: There are parking meters. 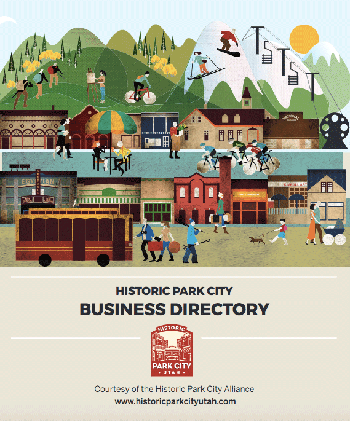 You can also pay-by-phone through the Go Park City parking app for i-phone. At the meter, you’ll enter your license plate number and not have to return to your car. China Bridge: Gated/ticketed parking 24/7. Paid parking will begin at 5pm, but the first hour is free. For example, if you enter at 1pm and leave at 7pm, you’ll be charged for one hour. From December 15-April 15, it’s $3/hour. What about other surface lots like Sandridge, Gateway, North Marsac? North Marsac: Paid parking 5pm-midnight. Peak season rate is $1/hour. Gateway: Valid for Blue Square and “C” permit parking only. Bob Wells Plaza and Swede Alley On-Street: Paid parking 5pm-midnight. Peak season rate is $3/hour. Four-hour time limit. Main Street and Brew Pub: Paid parking 11am-midnight. Peak season rates are as follows: $2/hour 11am-5pm, $4/hour 5pm-midnight. Three-hour time limit. Flag Pole: Paid parking 5pm-midnight. Peak season rate is $3/hour. Four-hour time limit. Sandridge: Free parking. Select spots will be designated for residential use. Park City enjoys a FREE bus system that operates every day from 7:30 a.m. until 10:30 p.m. in the local area and from 7:40 a.m. to 8:55 p.m. (last departure from the Transit Center) to the outlying Summit County Areas. The free Historic Main Street Trolley operates every day from 10 a.m. until 10 p.m. Bus stops are easy to find. Just look for the bright blue signs with white lettering. Route colors and time points may be found on your closest bus stop sign. Our system route map shows where all the bus stops and transfer points are located. For your safety, buses stop only at designated bus stops. Please arrive two or three minutes early and wait at the bus stop. As the bus approaches, be sure to check the overhead destination sign to ensure you are boarding the right bus.